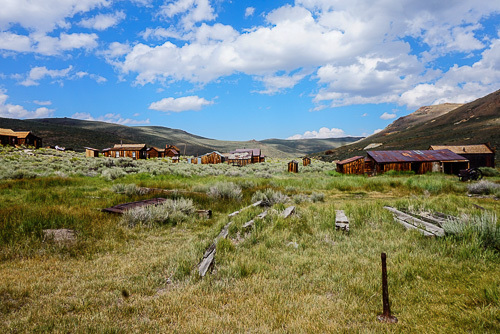 In the backwoods of California in 1859, William S. Bodey discovered the precious metal that had people from all over the world flocking to the state just ten years earlier; gold. 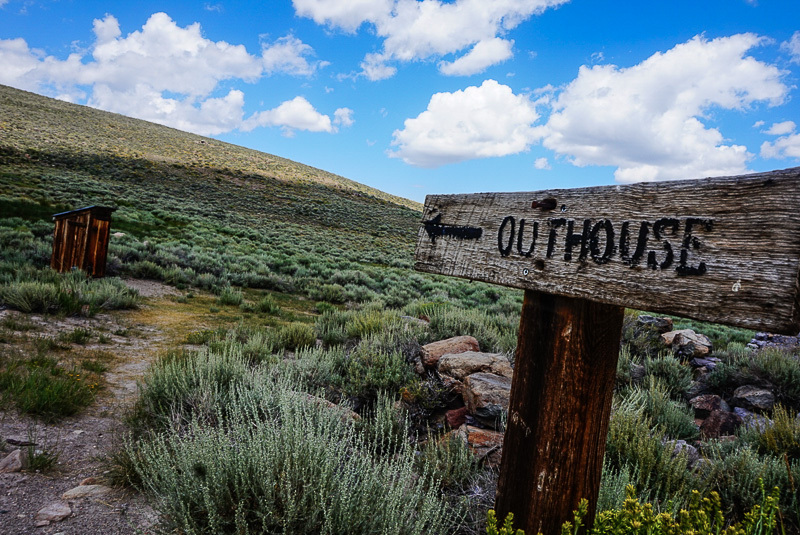 By 1879, the town of Bodie (re-spelled by locals for proper name pronunciation) was a bustling metropolis of prospectors, businessmen, and bandits. 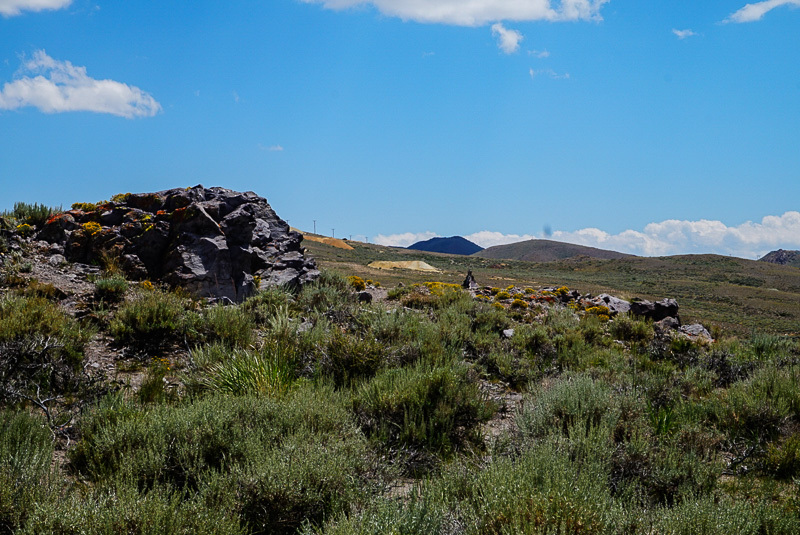 Bodie. View from just off Main Street. 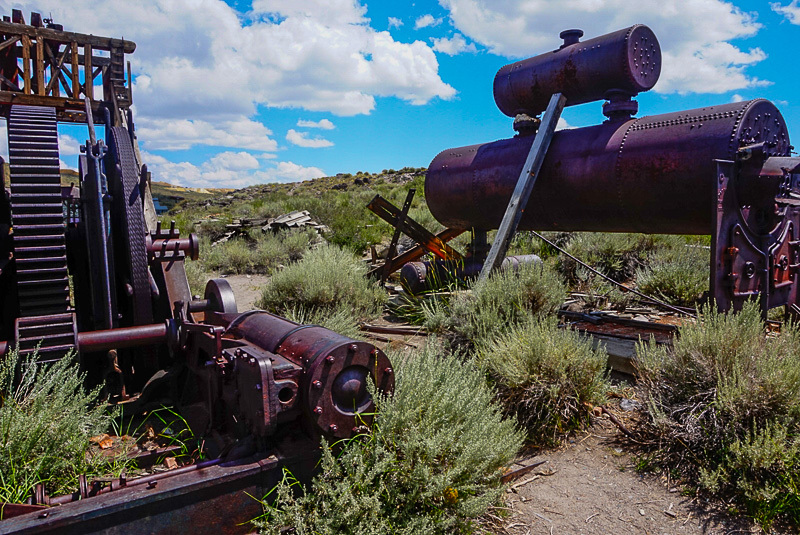 Today, Bodie is a popular destination and the most well-known ghost town to Californians (not to mention one of the most photogenic places in the state). 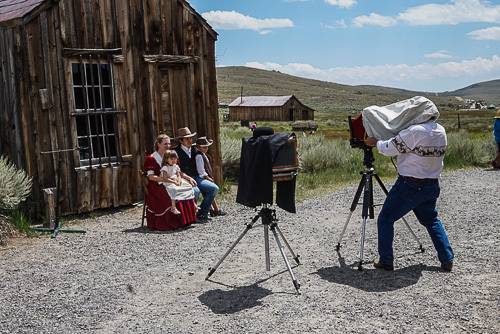 I was fortunate enough to visit during the "Friends of Bodie" celebration; and that made for even better opportunities to photograph the costumed denizens of the town and the accessories that accompanied them. Friends of Bodie. 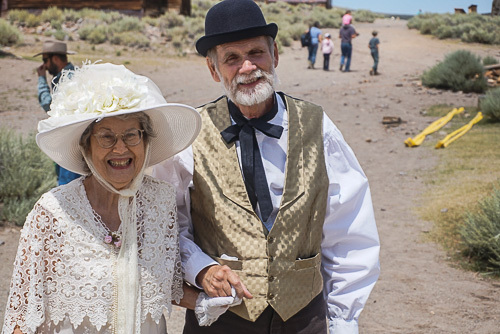 A lovely couple enjoying the 'Friends of Bodie' celebration. 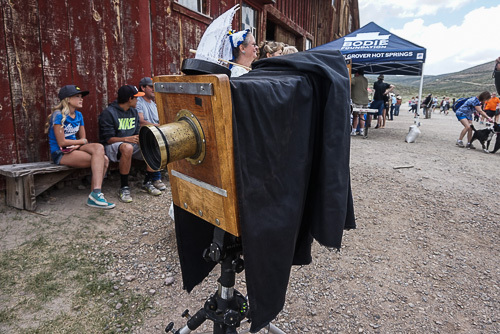 Such a case of amazing (and some might say ancient) technology is the 1868 Dallmeyer 5B camera I found near the center of town. 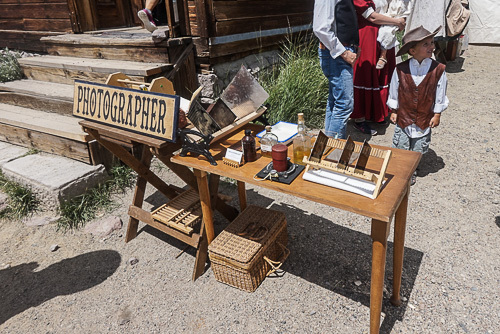 Before producing authentic ambrotypes of a period-correct family, the photographer was kind enough to share some of the history behind this amazing device. 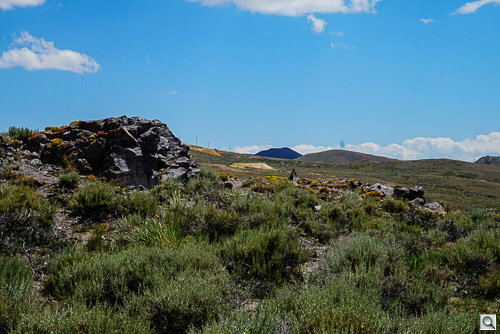 Later I was able to find some online reviews of the vintage lens. Dallmeyer 1868 5B. The B and C models were more common than the A and D models, but all are worth some serious money. Say 'Cheese!'. That helpful photographer using another, more recent, 5B. Tools of the Trade. Ambrotypes drying in the sun. 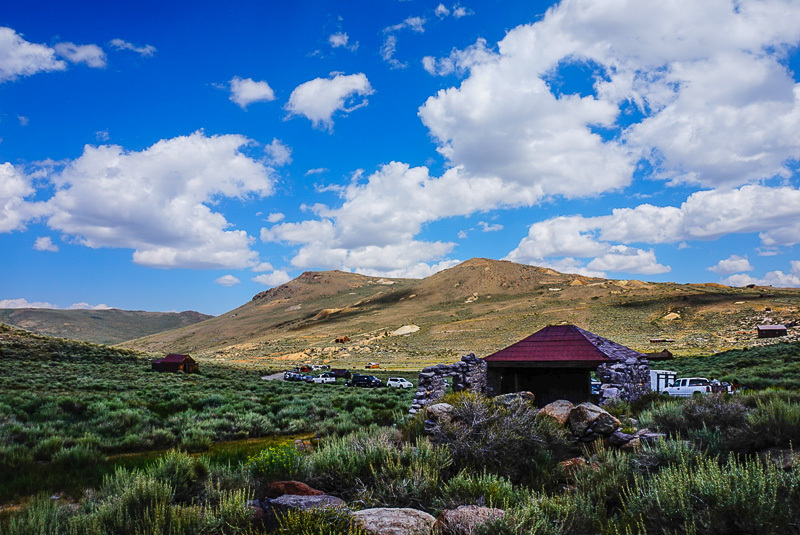 After an eventful stroll down Bodie's Main Street, I took to the hills to get some great views over the valley. 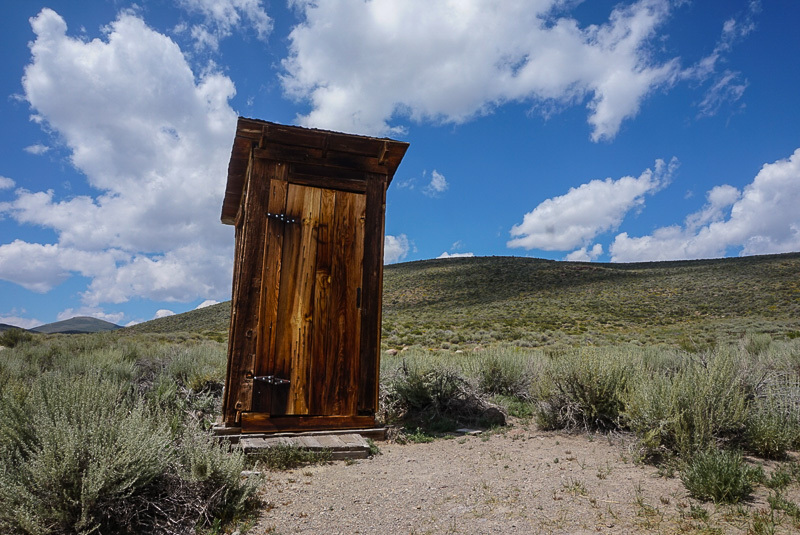 The entire area, from the clouds to the outhouses, is incredibly scenic and worth a trip. Slide Show. Our correspondent takes to the hills.